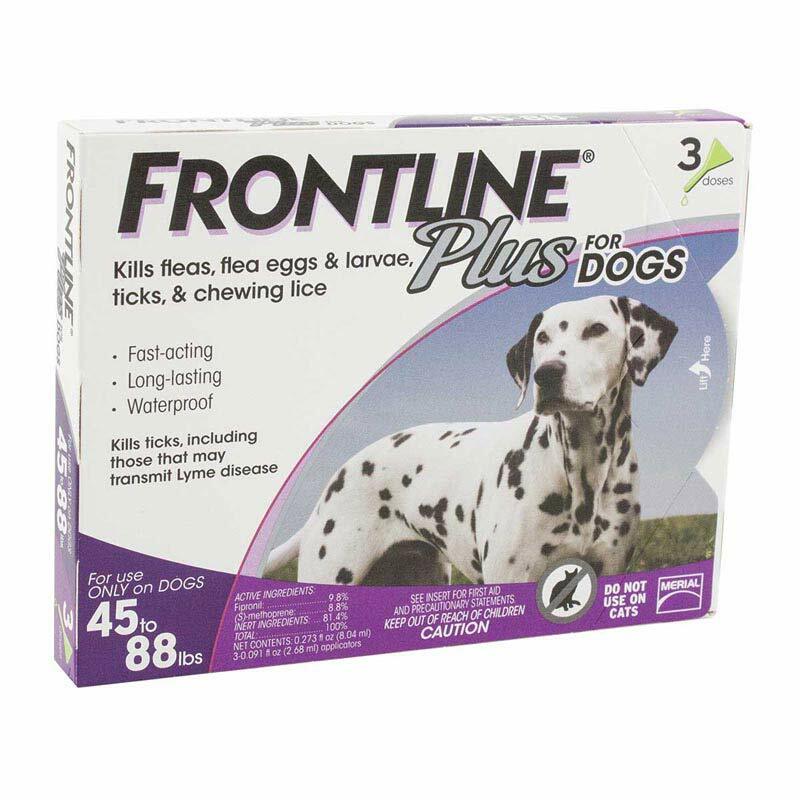 Has everything that Frontline has Plus Methoprene (Insect Growth Regulator), which is effective against all stages of fleas and ticks including eggs and larvae. Do not use on dogs or cats under 8 weeks. 3 month package for dogs 45-88 lbs.